“Fox Red Male – Kelso"
“Hunting Buddy and great friend to the family who owns him”. Rocky Flats Kennels, Located in Eastern Tennessee, is a small selective breeding kennel having no more than two or three puppy litters a year. 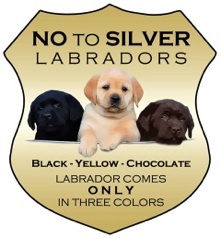 We specialize in breeding English Standard AKC Registered Labrador Retrievers in Yellow, Black and Fox Red. We breed and show our dogs focusing on conformation, intelligence, good temperament and retrieving ability. All of our dogs are registered with AKC and have had all of their health clearances done. 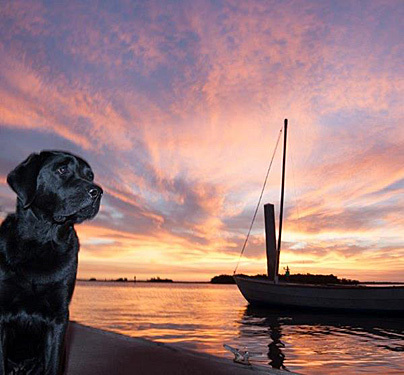 We fell in love with Labradors over 25 years ago with our first light yellow Labrador female, "Madison". Madison captured our hearts as soon as we brought her home at 8 weeks old. We enjoyed her intelligence, her mischievousness, her sweetness and her ever constant loyalty. Madison shared her "eager to please" attitude with us every day of her 12 years on this planet. It is because of her and the impression she made in our lives that we are now the proud breeders of "The Dogs of Rocky Flats Kennels". There have been some very special dogs that have come after Madison, each one leaving us with wonderful memories and lasting impressions. 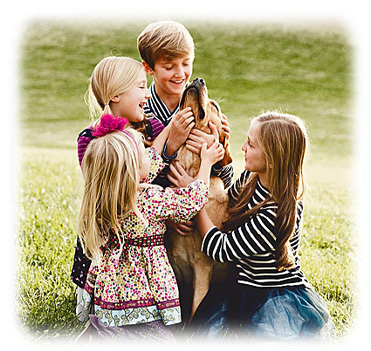 Our kennels are family owned and all of our dogs and their puppies are family members to us. We are very selective in our placing process and require an application filled out and emailed to us as well as a personal or telephone interview. Even when they have gone to their perspective families, we are there for our Labrador Retriever owners throughout the life of their dog to answer any questions and to share in the joys of their growing puppies.